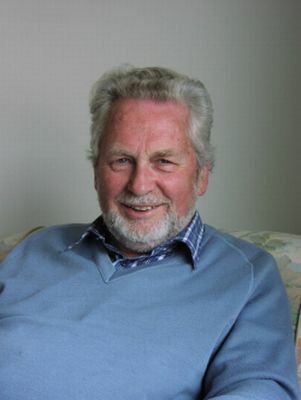 ﻿﻿Wilson Doran led the Lay Witness Movement in Ireland since its foundation here in 1975. Over his last 3 years he battled with cancer. This he bore with great strength and faith in the goodness of our God. During his illness, he retained that keen interest in all that was happening and encouraged the movement in all that was ongoing and planned. He died peacefully on Saturday 11 September 2004, aged 74. Wilson was instrumental in b﻿ringing﻿ leadership, wisdom, insight and vision to the Lay Witness Movement over all those years. He was a member of the steering group since 1975 and led many missions over that time. Many will have been privileged to serve on a team with him and will have very special memories. Many others experienced God’s restoring and renewing grace through his ministry. In 1976, following a visit by some American lay people, Wilson Doran, then a Belfast bank manager and a leader in Seymour Hill Methodist Church, was asked to organise and drive forward the Lay Witness Movement in Ireland. That vision, of ordinary lay people empowered by the Holy Spirit to communicate their experience of Jesus with others, is one that never left him and one to which he was faithful from that moment until his home call on September 11th 2004. It took him all over Ireland in Lay Witness weekend missions; it took him to America to witness there and even recently to Sri Lanka where he blessed so many people with his testimony to a faith that had endured through all the high and low points of life and remained as vibrant and strong as ever. Those of us who had the privilege to serve with him on the Steering Group of the Movement both loved and revered him, seeing him as spiritual father, personal mentor and friend. Here was a man who knew how to show his feelings – laughter, empathy and tears. To work with him was to be admitted to the privilege of traveling with him on the journey of faith. Many times we saw him put faith into radical action – no more so than when he and Shirley in supposed retirement took on the challenge of running Ballywillwill House and turning it into a ministry centre that blessed and enriched the lives of so many. Even when he did properly retire and go to live in Portstewart it was entirely characteristic that he threw himself into the local church scene and also into work with Care under whose auspices he oversaw the formation of the Pregnancy Crisis Counselling Centre in Coleraine. And so this Movement pays tribute to Wilson Doran, an extraordinary servant of Jesus Christ who has shown us what it means to step out in faith, to give God our very best, to love those among whom we witness and work and above all to finish the race well. What a role model for us all! Wilson was born on 22 April 1930, spent his early years in Annalong and attended Down High School. He never lost his love for County Down and the Mourne Mountains. After school, he joined the Belfast Banking Company, now the Northern Bank, working in Dungannon, Banbridge and Belfast. It was in Dungannon that Wilson met Shirley Abernethy, initially through a shared interest in music and their membership together in the Choral Society. Central to their relationship was their common commitment to Jesus Christ. Wilson and Shirley proved right for each other, and they were married in 1956. In their years in Dunmurry they were involved in Seymour Hill Church, where Shirley was the organist and Wilson sang in the choir and held many offices including that of Circuit Steward for Finaghy and Seymour Hill. When some American Lay Witnesses came to Ireland in the mid-70s, through the influence of the Rev Dr John Turner, considerable interest was stirred up in the concept of lay people visiting churches and sharing their Christian experience. Who better than Wilson to be asked to take forward a home-grown version of the movement in Irish Methodism? He responded with enthusiasm. Almost inevitably, when something new is attempted, some people are suspicious. When this happened with Lay Witness, Wilson’s integrity, grace, wisdom and generosity of spirit were often enough to win them over. In what became a related development, Wilson was asked to train the counsellors for the Alan Walker Crusade in the Grosvenor Hall. Many of the counsellors in turn became Lay Witnesses, and the network of the Lay Witness movement was built up. Wilson had a genius for drawing people alongside him. In the early days Dr Lee Glenny and he worked in partnership on behalf of Lay Witness. Later he had the vision of the movement being led by a group of four, Harold Carson, Errol Johnston, Heather Boland and himself. Then, again on his initiative, the group widened to include Allen McCartney, Norma Mackey and Tom Wilson. As he became older he had an increasingly patriarchal look about him; a modern-day Abraham. Wilson and Shirley were to discover to their great delight that after five or six years of praying and waiting, their ‘promised land’ to which God called them lay in their beloved County Down, in the large and beautifully appointed Ballywillwill House, near Castlewellan, within easy reach of sea and mountain. This remarkable phase of joint ministry lasted for seven or eight years. Ballywillwill, with accommodation for up to 30 people on retreat, or up to 50 people attending evening performances of art, music and word skilfully woven together, was a haven where Shirley and Wilson exercised wonderfully complementary ministries. Shirley used her gifts of hospitality and with crafts, and Wilson gently ‘spoke faith into situations’ and stepped aside to allow people to reflect and the Spirit to do his work. Astonishingly, around 11,500 passed through Ballywillwill House in their time. Then it was on to Lake House, Downpatrick. Smaller and more restful than Ballywillwill, it too became a place where people in need of peace and quiet valued the hospitality of Wilson and Shirley. The last ten years in the Coleraine area were marked by further striking initiatives characterised by vision, risk and caring action in and for the community. Within Methodism, Wilson threw himself heart and soul into the life of the Methodist circuit, using his musical skills, opening his home with Shirley for discussion and Bible Study groups, and encouraging prayer initiatives. Thursday mornings before breakfast in the choir room at Coleraine became a precious time as several met for prayer from across the circuit. Wilson’s involvement in the Men’s Fellowship in Ballywillan Presbyterian Church and his friendship with the Rev Jim Frazer, were important for him and are a reminder that throughout his life Wilson’s connections often stretched far beyond Methodism. He also became involved in the Causeway Care and Crisis Centre. Bringing together the caring professions and voluntary counsellors in a most impressive way the centre provides a sensitive, professional and caring response to unplanned pregnancies and related needs. Wilson could see the funny side of this development, that he, a man and at his stage of life, should play a part in setting up a pregnancy crisis centre. In 2000 he offered for the team which visited Sri Lanka as a new millennium initiative. One of the most powerful events during the visit was when Wilson and a few others conducted a seminar for local preachers in the Colombo area, on the theme ‘Ministering in the power of the Spirit’. Wilson felt guided to include a foot-washing element within the seminar, something he had not done often, if ever, before. Nothing could have been more appropriate in a situation in which ministry, leadership and power are often understood in terms of dominance, not service. After Wilson’s death, Nilhan Niles, the leader of three Lay Witness events in Sri Lanka since 2000, sent an e-mail to express thanks for a life of great service to our Lord’ and assuring Shirley and all the family of their prayers at this time.